Partly cloudy in the morning. Increasing clouds with periods of showers later in the day. Thunder possible. High near 65F. Winds NW at 10 to 15 mph. Chance of rain 40%.. Partly cloudy skies. A stray shower or thunderstorm is possible. Low 41F. Winds N at 10 to 20 mph. The Historic Preservation Alliance kicks off last summer’s tour schedule at the Starsmore Visitor and Nature Center in southwest Colorado Springs. Members of the Historic Preservation Alliance tour historic sites throughout the Pikes Peak region last summer. The Historic Preservation Alliance is working with the City of Colorado Springs and History Colorado/State Historical Fund to restore the National Register Harlan Wolfe House on Cheyenne Road. The Historic Preservation Alliance (HPA) of Colorado Springs exists to revitalize neighborhoods and protect, preserve and promote the city’s historic resources. HPA is a member-based nonprofit organization founded in 1999 by citizens concerned about preserving Colorado Springs’ heritage. Through its Education Outreach Program, field trips and tours, the HPA presents the city’s heritage and introduces the city’s diverse places and spaces throughout and beyond the Pikes Peak region to the community. According to HPA President Roxanne Eflin, the organization strives to be the Pikes Peak region’s top voice for historic preservation. HPA’s 12-member board of directors, members, partners and volunteers accomplish the organization’s mission through advocacy, education, events and strategic alliances, Eflin said. In 2018, the board established a strategic plan comprised of several goals. This includes being an advocate for and encouraging preserving buildings, commercial centers, monuments, neighborhoods, sites, streetscapes, trees and the historic environment city-wide and the greater Pikes Peak region. “We take positions when and where appropriate, based on thorough research, and balanced with our mission,” Eflin said. The HPA promotes and encourages effective historic preservation policies in the city through coordinated advocacy efforts in partnership with key strategic alliances, Eflin said. The organization also coordinates tours, events, lectures and workshops throughout the region, often in partnership with groups and organizations deemed strategic alliances. According to Eflin, the HPA educates and encourages citizens in the appreciation and study of the aesthetic, architectural, environmental, historic and pre-historic significance of buildings, structures, sites, vistas and neighborhoods including practical and effective preservation methodology. The organization inspires public interest in historic preservation and downtown revitalization through educational programs and promoting training in preservation skills and techniques, Eflin said. The HPA is best accomplished in a private-public partnership with involved citizens working to accomplish solutions to help the best of the past thrive into the future, Eflin said. “We work with neighborhood leaders, preserve and promote and celebrate the historic places that define our community at the foot of Pikes Peak, ranked as one of the best places to live,” Eflin said. Through its summer tour programs the HPA provides educational opportunities for citizens to learn about various historic resources throughout the region including Cheyenne Mountain neighborhoods, Eflin said. “In our roles as advocates and champions for historic places, we respond to queries from concerned citizens on a wide variety of historic preservation topics ranging from rehabilitation strategies, methods to research house histories, design review, public engagement options and general protection for endangered properties,” Eflin said. People are finding the HPA to be an easy, inspirational connection to the past, Eflin sad. “We believe our mission and message speaks to the hearts of citizens who find the HPA to be a valid voice for historic places unable to speak for themselves,” Eflin said. Ever involved with community projects, HPA is a co-sponsor of the new HistoricCOS preservation master plan currently underway with the City Planning Dept. 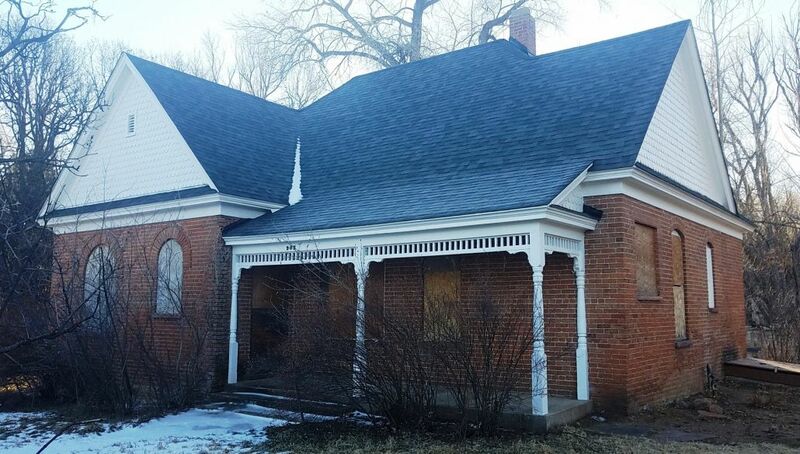 HPA continues its rehabilitation work with the City of Colorado Springs Parks Dept., and History Colorado/State Historical Fund to restore the National Register Harlan Wolfe House on Cheyenne Road. “It is in the spirit of both the past and future that we welcome everyone to join us on this journey as we celebrate our 20th anniversary year, themed, “Preservation by the people,’” Eflin said. There are no eligibility requirements to join, and every dollar makes a difference be it through membership or event sponsorship, Eflin said. “This past year alone we experienced a 20 percent growth in membership,” Eflin said. Join at hpasprings.org or by mailing a check to P.O. Box 345, Colorado Springs, CO 80901. To learn more, contact the HPA at info@hpasprings.org.